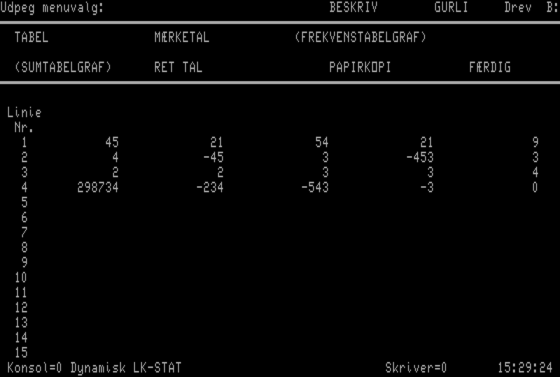 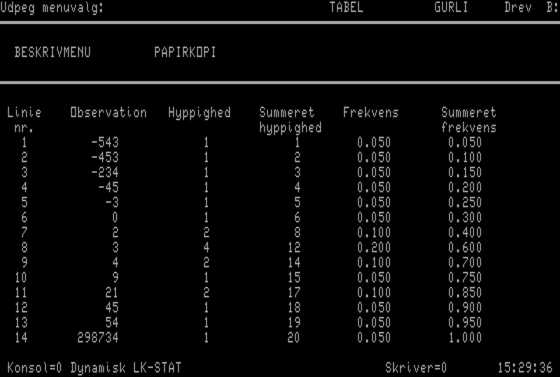 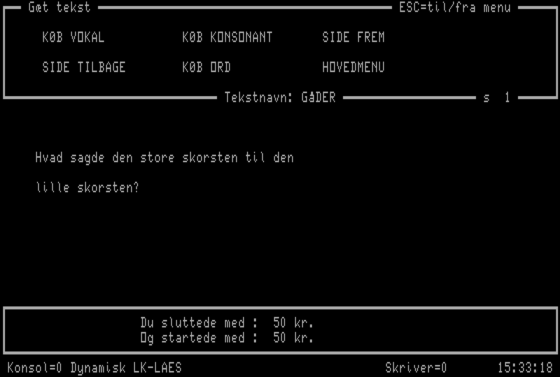 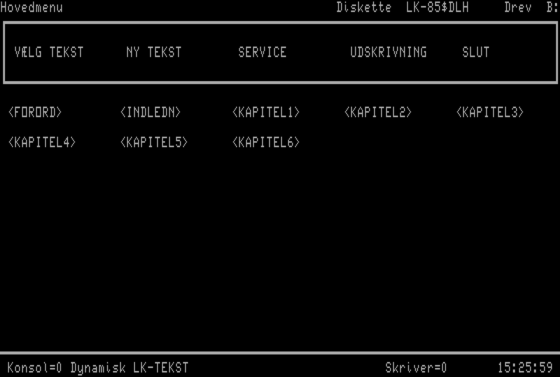 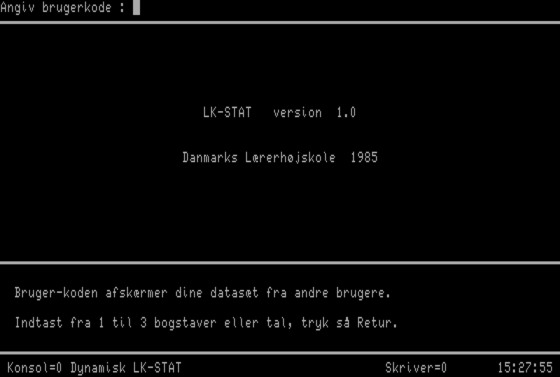 This disk contains three programs: LK-TEKST, LK-STAT and LK-LÆS, by Danmarks Lærerhøjskole, 1985. 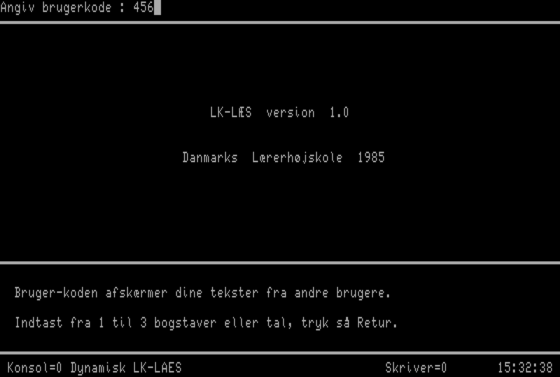 The software is likely made for a teachers course of some kind. 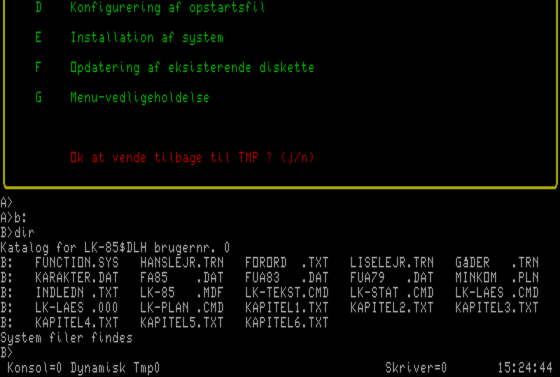 The disk is not bootable.